Last week, we discussed "spreading democracy" and the fragility with which it must be handled. From history, we have learned that leading nations have rarely succeeded in developing under-educated nations in a way which serves them in the long term. In many ways, this is due to a lack of involvement with requisites like education and infrastructure - but it's not just a matter of general education, and road-building. This article received a great deal of feedback, much of which wasn't flattering. Nevertheless, there is a rich vein of truth here, well worth a deeper exploration. Make no mistake - if democracy had taken hold in many of the places it has been encouraged, things would have been worse, not better. First, it's essential to get something across that has been mostly forgotten since the 1930s: America is not a democracy. What is a democracy, anyway? According to dictionary.com, "government by the people; a form of government in which the supreme power is vested in the people and exercised directly by them or by their elected agents under a free electoral system." But that's wrong. The definition confuses a key point: "or by their elected agents." Democracy is rule by the people. It's from the Greek: demos, people, and kratia, power. In ancient Greece, where both the word and the concept originated, that's exactly what it was. The entire voting population would assemble in the amphitheater and argue things out, voting on them as needed. That's a democracy. Of course, it doesn't work very well if your group is of any size. It worked in Greece because the voting population was extremely small - the largest unit was a city, not even a proper state; and women and slaves couldn't vote. But you can't run a real country that way; it's far too awkward. So the early Romans came up with an improvement. In their variant, the people still had the power - but not directly. Instead, they elected representatives who went to the Roman Senate, and they were the ones doing the voting on laws. That was the Roman Republic. Which is why, when Benjamin Franklin was asked what sort of government the Constitutional Convention had designed for the United States, he replied, "A republic - if you can keep it." He did not claim to have created a democracy. In fact, the Founders would have been horrified if anyone had proposed that. Shortly after the founding of our country, the French revolution arose, in which the people of France got so annoyed with their royalty that they imprisoned or beheaded all the rulers from the king on down, and voted, in effect, by crowd in the streets. That's a democracy. Modern France still suffers from this heritage, as there are certain actions the elected government simply cannot do - like cutting union wages or pensions - without expecting an invasion of protesters, shutting down all transit in and around Paris. The whole design of our Constitution is to allow for careful deliberation, and insulation from waves of fashion and panic reaction. That's why, originally, the Senators were elected by state legislatures, not voters; and why they hold office for 6 years. It's why Supreme Court justices are appointed for life. It's not supposed to be possible to totally change the government overnight - it would take a minimum of 6 years to dislodge all the elected officials, and even then, you'd still have the judges. But change is certainly possible and encouraged. Because the government is run by elected officials, the people get a chance to have their say very regularly, and polices can be adjusted as required - just not too profoundly at any one time. 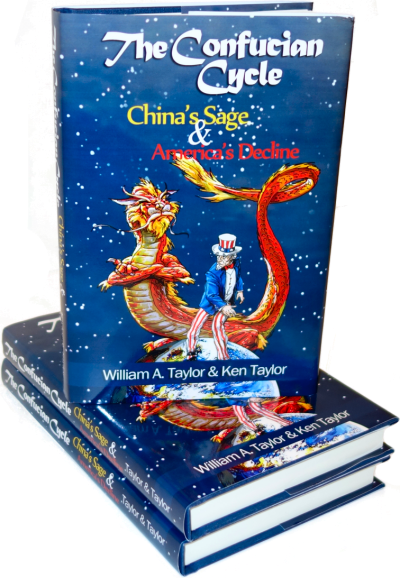 This built-in stability is a major reason why the United States' form of government has survived, fundamentally unchanged, for over two centuries, while a whirlwind of revolutions has swept the globe. Consider the contrast with "democracies" elsewhere, in which "the people" don't really understand the concept of a republic, which is to say, a representative democracy. How many times have elected officials in, say, South America, been dislodged by a "popular revolution"? Why could they not simply wait for the next election and vote the bums out? Maybe because the elections would be rigged - but that's another problem, which is not best addressed through getting in the habit of street protests. Irregular popular forces are supposed to be a last resort, appropriate only for extreme situations, not a regular part of the political process. Americans complain about the lack of true leaders and of today's poll-driven politicians. But if American is a democracy, isn't that exactly how it is supposed to work? We can't have an election every day, but nothing prevents pollsters from gauging the national mood as often as necessary. Somehow, we know that that isn't really what we want, which is why we worry when we get it. The United States is not a democracy. It is a republic - a democratic republic, to be sure, but a republic nonetheless. A mob is a democracy. The genocide in Rwanda was democratic. Hamas is a democratic organization, democratically elected. That's not in the least what we want more of, and if we don't even know how to ask for what we want to see, how do we expect to get it? This confusion has extended everywhere. In fact, while writing this article, I went to dictionary.com to get a definition for the word "democracy." And on the page for that definition were sponsored ads, one of which was an entirely computer-generated one for Yahoo. Said the ad, "Looking for Democracy? Find exactly what you want today." Hmm. Wonder how much they want for it, and if they ship internationally? Normal politicians prefer cash, I wonder if Yahoo will accept credit card payment for a couple of pounds of democracy? Sorry, Yahoo, it's not that easy - and you wouldn't want it if it was. Makes me feel like we should have some minimal requirements for voting. Graduate from high school, pass the same test new immigrants must pass. Be able to name 3 policy positions for the candidate you're going to vote for. I've never been a fan of "get out the vote" because inevitably those least qualified to cast an informed vote are those that are most easily manipulated to vote for a particular candidate. The electoral college, and other ideas in our representative government are designed to help temper the stupidity of the masses. It's time to have the discussion with EVERYBODY you meet. Teach them about representative government, the electoral college, the difference between the House and the Senate. Write letters to the editor... whatever it takes because it's going to be a long hard uphill battle. Could not agree more. No one explores the issue because it's easier to sell "by the people for the people" at face value intead of reading the actual Constitution. Fenoman is right too. There should be a litmus test for voting. I'm currently in Argentina, where this concept is truly garbled: 'Democracia' is used as a mantra in contrast with the military dictatorships that tend to plague the region - among many other reasons because exercises in republican government become so enmeshed in personal vested interests that the democratically elected 'representatives' hardly represent the nation's interests. In fact I doubt, in many cases, that it ever crossed their mind that that could be their job. You were right that Athens was a "real" democracy. Not sure I fully agree democracy is little more than a wild lynch mob, in it worst form it could be. I think your article created some confusion regarding France/South America ie, are unstable because they are democracies. All modern democracies are some form of a Republic. France was founded as a Republic and is a Republic to this day. So is every country in South America. They also have checks and balances written into their constitutions. Some counties are better than others at not having their constitutions overthrown then others. That goes to stability, cultural values, education level, etc., etc. I don't think the author said that France is a democracy _now_. Only that they were during the middle ages which is true. They bounced back and forth between that and a monarchy. They certainly now, nor have they been for hundreds of years. I think the problem with the test idea is that too many americans would too quickly fail it. I have been out of the country for a few years in what I like to refer to as proud service. Every time I watch american tv shows or listen to any biased news source (ie any of them) I feel more and more disheartened that I can still be willing to sacrifice my time and efforts for the land of the willingly ignorant. It's sad and somewhat scary to think that illegal aliens could very easily out-score many americans on said tests. Some of us lay beneath a flag that the foolish rally around oblivious to the blood spent to keep it. America could not handle a democracy, too few would listen, too many would ignore, none would be willing to sacrifice.